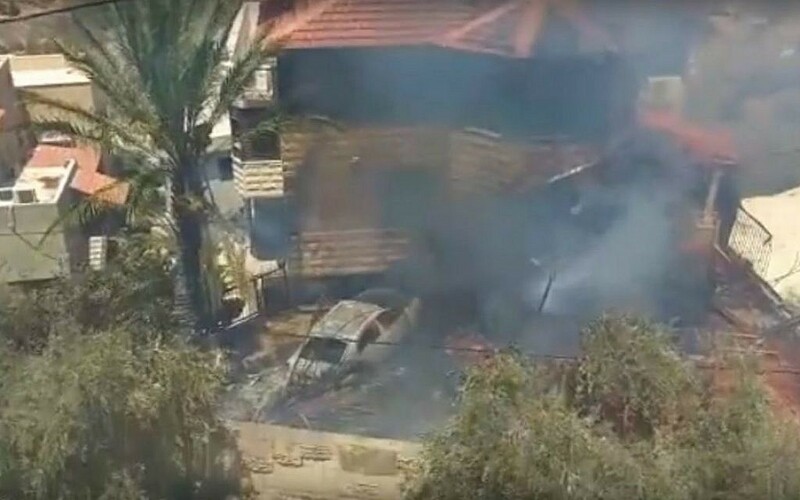 Seven people are very lightly injured when an unmanned aerial vehicle belonging to Israel Aerospace Industries crashes on the roof of a home in the village of Zalafa in the Wadi Ara area. Five of the injured are children. A spokesman for the company says the vehicle was in the midst of a test flight when it crashed. Reports suggest it may have been a Heron 1 drone. Officials have launched an investigation. Police launch an investigation into a group of Israeli Jews from the Sanhedria neighborhood of Jerusalem who allegedly misled and swindled donors in Israel and abroad by making up stories about a purported Christian cult that had kidnapped, sexually abused and forcibly converted to Christianity hundreds of Jewish children from the Haredi community. In a statement Tuesday, police say they first received reports about the cult two years ago and launched an investigation into the allegations. The investigation led to the conclusion that no such cult exists. Stories about it were being spread by a group in order to elicit money from concerned citizens. Three people are arrested in the case. Among the charges investigators are exploring are fraud and child abuse. Two are remanded Tuesday for a week. Police say they arrested an army captain, his driver and the driver’s father last month for allegedly stealing “dozens of grenades and missiles” from their military base in the Negev desert. The 24-year-old company commander, along with his subordinate, were arrested in July following a three-month investigation. 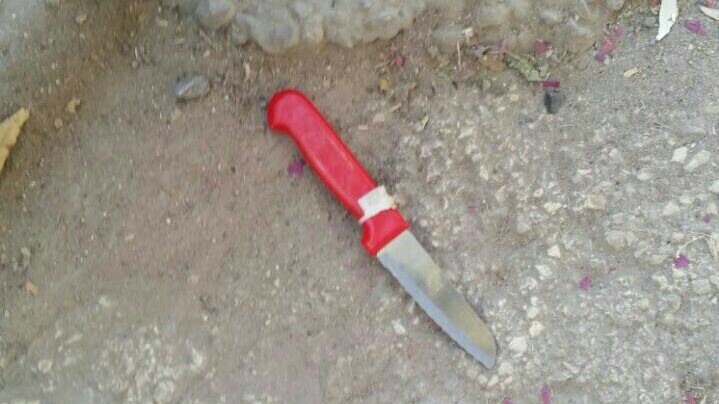 However, details of the case were kept under court-issued gag order, an Israel Police spokesperson reveals Tuesday. The court has lifted the order as the three men are about to be indicted later this week, though their identities have yet to be released. All three come from Arab villages in northern Israel. The officer is from Zarzir, a town northwest of Nazareth, while the driver and his father are from Tamra, a small village outside Acre. According to police, the officer and his 24-year-old personal driver broke into an armory on the base in southern Israel in April and stole fragmentation grenades and at least two different types of missiles, the Light Anti-tank Weapon (LAW) and the Man-portable Anti-Tank, Anti-DOoR (MATADOR). 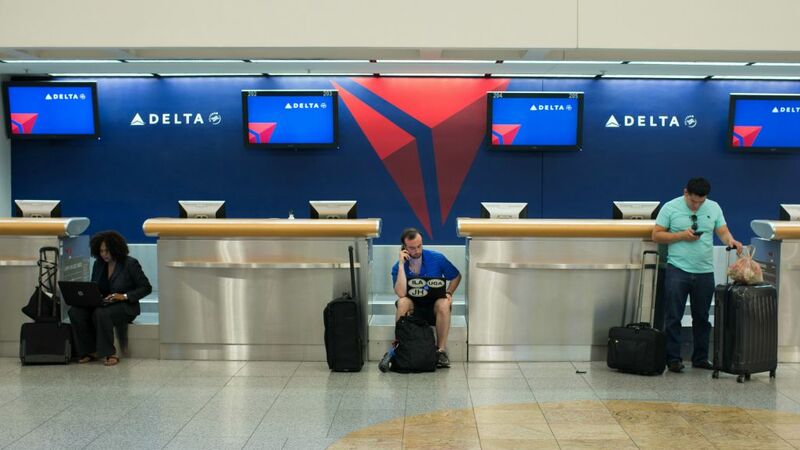 Delta’s travails, and those of its customers, move into day two with the airline canceling nearly 250 flights. The cancellations Tuesday follow about 1,000 canceled flights Monday and almost 3,000 delayed flights after an outage at its Atlanta headquarters initiated a global meltdown of its booking and communications systems. The airline was back online after a number of hours Monday, but the outages were so widespread that it is still dealing with the ripple effects a day later. The airline posts a video apology by CEO Ed Bastian. And it offers refunds and &dollar;200 in travel vouchers to people whose flights were canceled or delayed at least three hours. Delta’s challenge on Tuesday will be to find enough seats on planes during the busy summer vacation season to accommodate the tens of thousands of passengers whose flights were scrubbed. Last month, the average Delta flight was 87 percent full. A British man who killed a fellow Muslim because he felt he had disrespected Islam is sentenced to at least 27 years in prison. Tanveer Ahmed admits to stabbing and beating shopkeeper Asad Shah to death at his Glasgow convenience store in March. Shah was a member of the Ahmadiyya Muslim community, which differs from mainstream Islam in that it doesn’t regard Muhammad as the final prophet. Ahmed did not know his victim but had seen statements he had posted online. Judge Rita Rae sentences Ahmed Tuesday to life with no chance of parole for 27 years. She says he committed a “barbaric” crime and has shown no remorse. 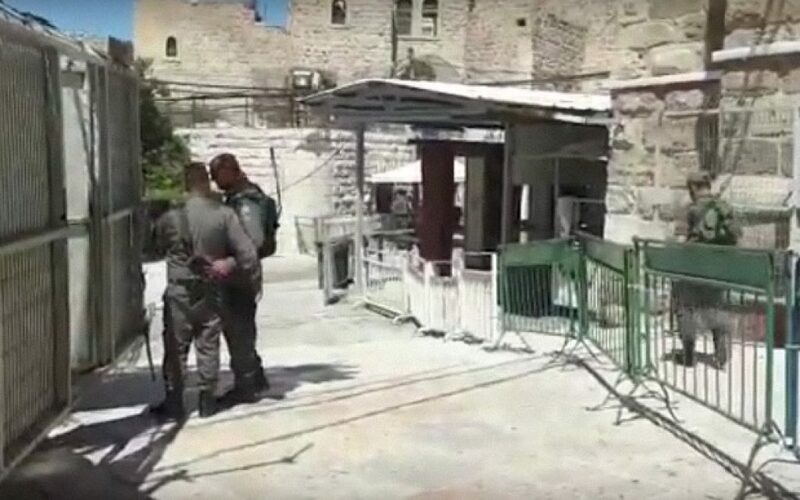 Border Police arrest a Palestinian woman who allegedly threatened them with a knife at a checkpoint near the Tomb of the Patriarchs in Hebron, police say. During a security check, the woman took a knife out of her bag and “threatened to carry out a stabbing attack” against the officers, according to police. Using pepper spray, the officers overpower the woman and place her under arrest. No one is hurt in the incident. The woman’s identity is not yet known, but she is being held at a nearby police station for interrogation, police say. The battle for Syria’s contested city of Aleppo has crippled its infrastructure and left 2 million residents without running water, the UN children’s agency says Tuesday. The dire warning comes as Syrian activists say government warplanes are bombarding opposition-held parts of the city and the United Nations calls for a “humanitarian pause” in the fighting so that electricity and water networks can be repaired. Rival parties, however, are seen bringing in reinforcements to Aleppo ahead of an expected new round of fighting after opposition groups breached a government-imposed siege and cut a key government route to the city over the weekend. The battle for Aleppo, the country’s largest city and former commercial heart, is pivotal for the Syrian civil war. On Tuesday, two UN aid officials, Yacoub El Hillo and Kevin Kennedy, say in a statement that water and electricity infrastructure has been damaged in the fighting. They say the total number of civilians living in “de facto fear of besiegement” is now over two million. 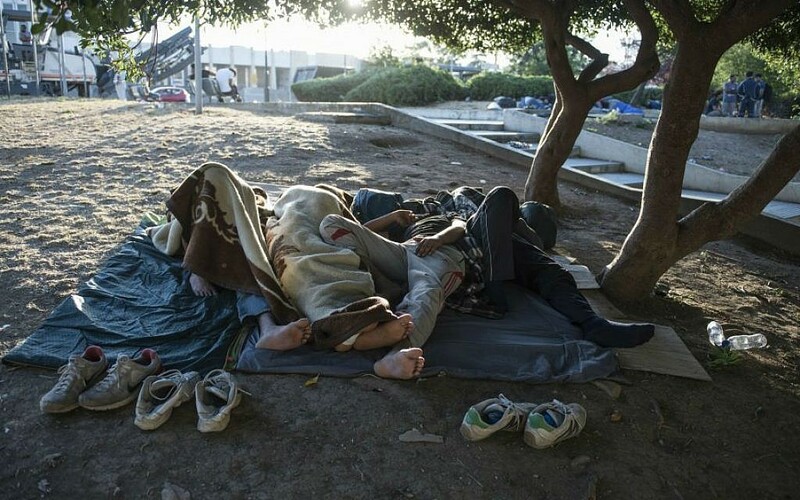 The International Organization for Migration estimates that over 260,000 refugees and other migrants have arrived in Europe this year after crossing the Mediterranean Sea and that some 3,200 have died attempting to cross. The IOM says Tuesday that 263,636 people arrived by sea between January 1 and Sunday — compared with 354,618 from January through the end of August 2015. It says 160,888 had arrived in Greece and 100,244 in Italy. The organization puts the number of dead or missing in the Mediterranean this year at 3,176 through Sunday — higher than the 2,754 it recorded in last year’s first eight months. 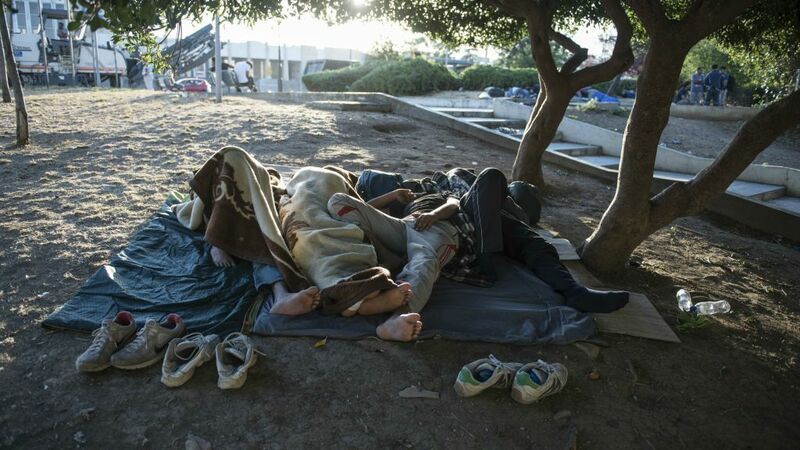 More than 2,700 of those cases were on the dangerous central Mediterranean route between North Africa and Italy. A Belgian Muslim official in charge of promoting tolerance apologizes for his vitriol against Israel, which he called a modern Nazi Germany and “an identical twin” of the Islamic State terrorist group. Contacted by the La Capitale daily following criticism against him by the Belgian League Against Anti-Semitism, Kobo, who is 28, says he was “young and stupid” when he wrote the Facebook posts, which he now says he “regrets,” the daily reports Tuesday. He says he was “very emotional” following the strikes in Gaza, which followed rocket fire by Hamas on Israel. Kobo works for a minister in the government of one of the three autonomous regions that make up the federal kingdom of Belgium. Evan McMullin, a Brigham Young University graduate who studied in Israel on a Defense Department grant, has announced that he will run as an independent in the 2016 US presidential election. McMullin announced his candidacy on Monday. He worked as an undercover operations officer for the Central Intelligence Agency and later as a senior national security and policy adviser in the House of Representatives. McMullin, 40, is unmarried, a Mormon, and a graduate of the Wharton School of Economics at the University of Pennsylvania and former employee of Goldman Sachs. 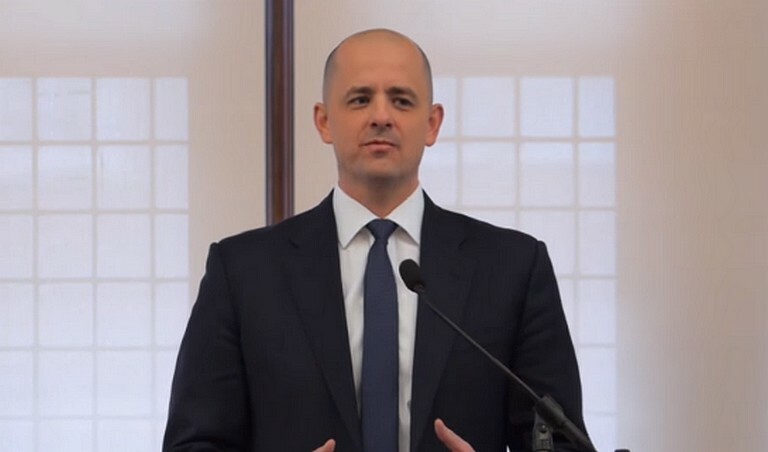 McMullin studied in Israel while an undergraduate at BYU as a David L. Boren Scholar with the Department of Defense’s National Security Education Program, through The David M. Kennedy Center for International Studies. He called his studies in Israel “a perfect capstone to the traditional coursework I had done in Provo,” the Utah city that’s home to BYU. Police find a large weapons cache in Shfaram. The store of firearms includes a handgun, M-203 grenades, over 5,000 5.56-millimeter rounds for an M-16 assault rifle, magazines for an Uzi submachine gun, a stun grenade and more. Police also find a protective vest, combat vests and a military helmet. Turkey’s justice minister says Tuesday the United States would be sacrificing its alliance with Turkey to “a terrorist” if it were to refuse to extradite a US-based Muslim cleric who the government says is behind the July 15 failed coup. Bekir Bozdag also tells the state-run Anadolu Agency that anti-American sentiment in Turkey is reaching “its peak” over the issue of cleric Fethullah Gulen’s return, and risks turning into hatred. Turkey has branded Gulen’s movement a terror organization and wants him returned to Turkey to face trial. Washington says it would need evidence of the cleric’s involvement, and says the regular extradition process must be allowed to take its course. Bozdag says Turkish authorities were still investigating who, after Gulen, was the number 2 suspect in the coup plot. “My wife and four children were on the bottom floor and the plane hit the top floor. Thank God the kids are okay, but my wife felt sick and is in hospital,” Jabarin tells Channel 2. Haemek Hospital in Afula says it has received 25 people with a variety of injuries caused by the crash and ensuing fire in the village. Of them, 13 are children. All are lightly hurt, most of them suffering from smoke inhalation. The homes in question were “four illegal buildings that were built without the required permits,” it said. Israel-born Alice Schlesinger, competing for Britain in the Olympic women’s judo under-63 kilogram competition today, advances to the second round after defeating South Korea’s Ji-Yun Bak in Rio de Janeiro. Schlesinger won the contest with an ippon — the highest score possible in judo, which ends a match. She is scheduled to compete in the next round against Holland’s Anicka van Emden at 5:38 p.m. Israel time. 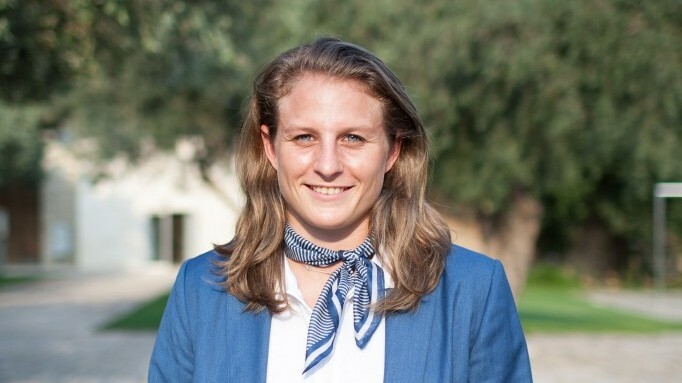 Schlesinger, who lives in Herzliya, competed for Israel until she had a fallout with the Israeli Judo Federation in 2013. A British citizen through her English mother, she joined the British Olympic team in 2014. A commemoration ceremony for fallen IDF soldier Lt. Hadar Goldin, whose body remains in Hamas hands in Gaza, is being held at the Kfar Saba Military Cemetery, two years after his death. “You live among us all the time,” sister Ayelet Goldin says over her brother’s empty grave. In attendance are ministers Ayelet Shaked, Tzachi Hanegbi and Yoav Galant, as well as Deputy Defense Minister Eli Ben-Dahan. Former defense minister Moshe Ya’alon, a relative of the Goldins, is also there. The Jerusalem Police announce a massive upgrade to the deployment and availability of officers in East Jerusalem. The area is being upgraded to a subdistrict, and will be commanded by an officer with an assistant commissioner’s rank. Jerusalem Police chief Yoram Halevy says the plan includes the opening of six new police stations in villages in the city’s eastern half that have never had a police presence. Some 2,000 officers will be added to police forces in East Jerusalem. The first order of business will be to serve Palestinian residents of those sections of the city, Halevy says. Israeli Olympic judoka Yarden Gerbi beats her Cuban opponent Maricet Espinosa in the round of 16, or second round, of the Olympic women judo under-63 kilogram competition in Rio de Janeiro. Gerbi advances to the quarterfinals, where she will face Mariana Silva of Brazil after 6:30 p.m. Israel time. Israeli Alice Schlesinger, competing for the UK, falls out of the Olympic women’s judo under-63 kilogram competition in Rio de Janeiro, failing to make it to the quarterfinals. Neither Schlesinger nor her round-of-16 match competitor, Holland’s Anicka van Emden, won any points in the match, but Schlesinger’s penalty during the fight gave the win to van Emden. The parents of two Americans killed in attacks in Benghazi, Libya, say in a lawsuit that Hillary Clinton is responsible for the deaths of their children. The wrongful death lawsuit against Clinton is filed Monday in federal court in Washington, DC. Clinton was secretary of state at the time of the Sept. 11, 2012, attacks. 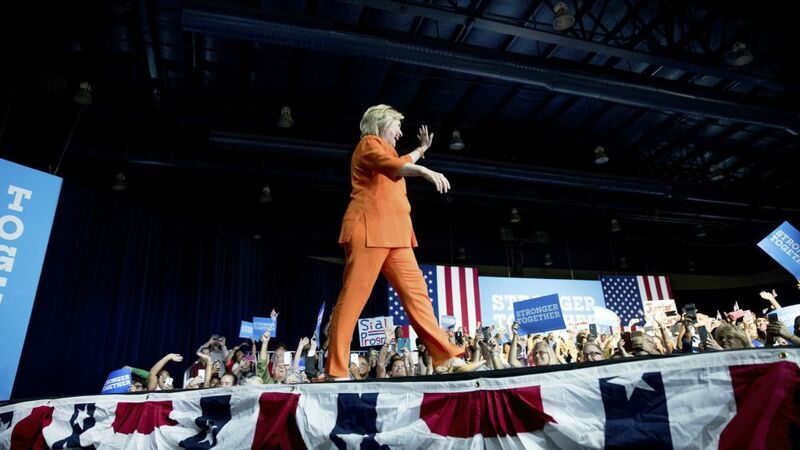 The suit says Clinton’s “negligent and reckless” use of a private e-mail server compromised the Americans’ security. House Republicans have blamed the Obama administration for loose security, but not Clinton personally. 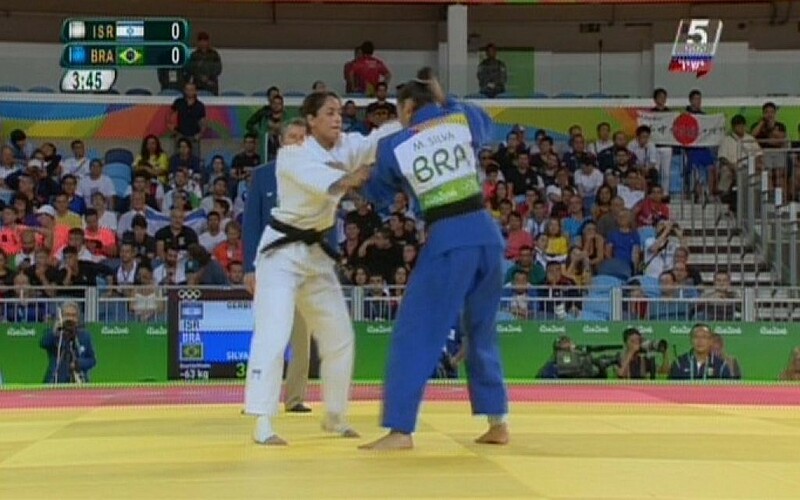 Israeli judoka Yarden Gerbi takes to the mat against Brazilian Mariana Silva in the women’s under-63 kilogram Olympic judo competition. 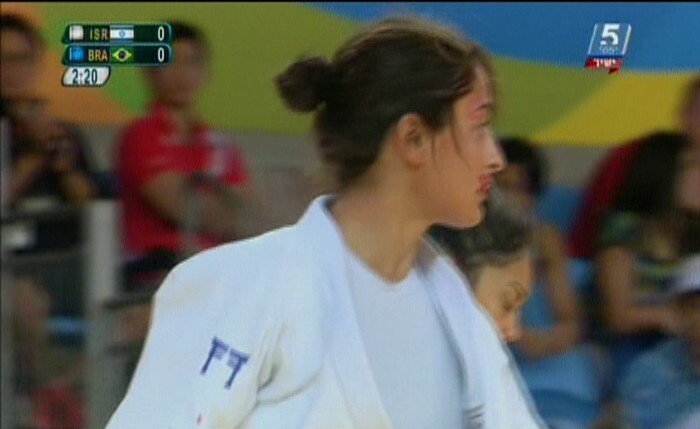 The women judo match between Israel’s Yarden Gerbi and Brazil’s Mariana Silva is paused as Gerbi walks off the mat to get treated. Gerbi began to bleed from the mouth after being pulled to the mat by Silva. 2:20 remains to the match. Israeli judoka Yarden Gerbi lost her match against Brazil’s Mariana Silva over a minute and a half into golden time — past the four minutes allowed to a match. The two competitors were evenly matched throughout, with Silva making aggressive assaults on Gerbi, but the Israeli pivoting to pull out of the former’s attempted throw. Gerbi is officially out of the running for gold or silver, but can still compete for the bronze medal in the tournament. The United Nations Development Program says it is “greatly concerned” by allegations that Waheed Abd Allah Borsh, an engineer for the humanitarian aid organization, directed resources and assistance to the Hamas terrorist group in the Gaza Strip. However, the group downplayed the significance of the accusation, saying the main incident connected to Borsh was only a small fraction of the UNDP’s activities in the coastal region. One of the main accusations levied against Borsh by Israel concerns a restoration project in which “300 tons of rubble” were transported from a UNDP site at the behest of a senior Hamas official, the UNDP says. “The allegations concerning Mr. Al Bursh by the Israeli authorities refer to 300 tons of the more than one million tons removed, or 7 truckloads out of a total of nearly 26,000,” Roberto Valent, the UNDP Special Representative of the Administrator, says in a statement. A German special police unit detains an allegedly high-ranking member of the extremist Islamic State group in the southwestern town of Mutterstadt. The German news agency dpa reports Tuesday that the man, whose identity is not given, is detained after a tip from a prison inmate in the western city of Gelsenkirchen. Dpa reports the information about the suspect comes in connection with alleged threats against the German Bundesliga soccer league. It does not further elaborate on the threat. Likud responds to growing criticism of a bill by MK Dudi Amsalem that would shield a serving prime minister — in the last three governments, hailing from Likud — from investigations into any alleged crimes that carry a prison sentence shorter than six months. 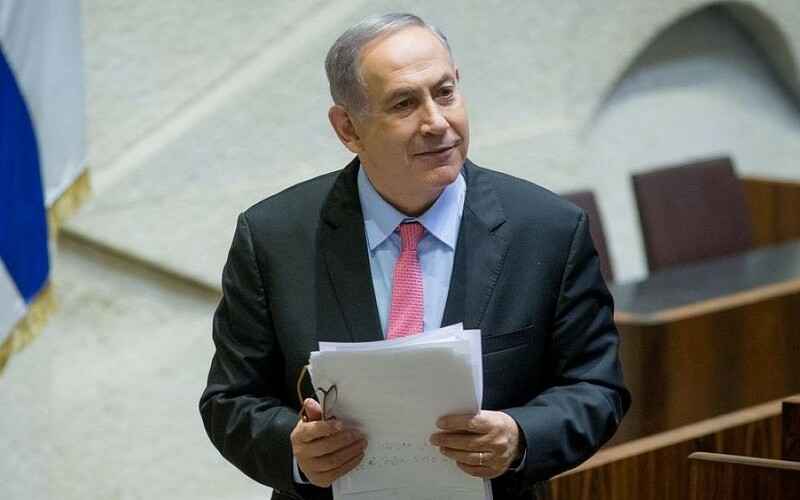 The bill comes as Attorney General Avichai Mandelblit is looking into allegations of financial improprieties said to be linked to Prime Minister Benjamin Netanyahu. Whether this is correct remains unclear, as a law could apply to a case whose indictments are filed after its passage. British Prime Minister Theresa May urges Iran’s president to resolve the case of a British-Iranian woman who faces trial on security-related charges. Charity worker Zaghari-Ratcliffe is detained in April while trying to fly out of Iran with her toddler daughter. She has been accused of planning the “soft toppling” of the government and faces trial on unspecified charges. Iran and Britain are rebuilding their diplomatic relationship since reopening their respective embassies last year, shortly after Tehran and world powers struck a deal on Iran’s contested nuclear program. Unilever Israel, owner of the “Telma” brand, is destroying 120 tons of cornflakes after a week of controversy over its failure to stop a shipment to stores of salmonella-tainted cereal boxes. 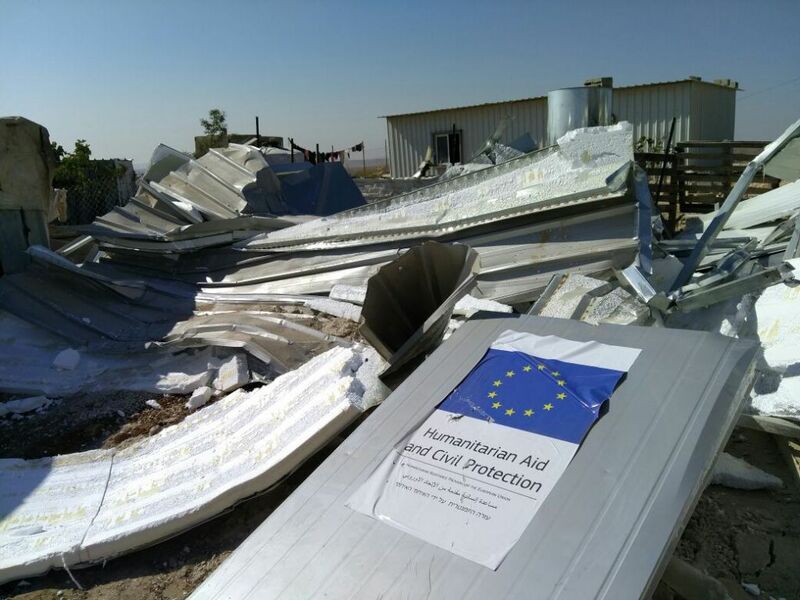 The company sends truckfulls of boxes today from its factory in Arad to Kiryat Ata, where they are being destroyed and turned into kindling and compost. The destruction of the tainted food comes after Health Ministry inspectors conducted an investigation over the past few days at the Arad factory in an effort to discover how the bacteria entered the factory. The father of the Orlando gay nightclub shooter is spotted at a campaign event for Hillary Clinton in central Florida. Seddique Mateen was standing in a crowd behind Clinton during the Monday night event in Kissimmee, south of Orlando. A campaign official tells The Associated Press on Tuesday that he wasn’t invited to attend the 3,000-person, open-door public event and that the campaign wasn’t aware he was there until it ended. Omar Mateen fatally shot 49 people and injured another 53 at the Pulse nightclub on June 12. He was killed by law enforcement officers following a three-hour standoff. The father says his family has been cooperating with investigators. During her speech, Clinton expressed support for the survivors of the attack and the loved ones of those killed. The trial of Elor Azaria, the IDF soldier filmed shooting an incapacitated Palestinian assailant in the head, is postponed for two weeks following a scheduling mix-up, Army Radio reports. The original date for the next courtroom deliberations was set for Sunday, August 14. However, that day coincides with the Tisha B’Av fast, a commemoration day recalling the destruction of the two Jewish temples in Jerusalem, among other historic tragedies. As some of the witnesses who were meant to testify will be fasting, the trial is delayed until the next available date two weeks later, according to Army Radio. Turkish President Recep Tayyip Erdogan says Tuesday after talks with Russia’s President Vladimir Putin that the two nations can rebuild their damaged ties and make them even closer, promising to back major energy projects with Russia. 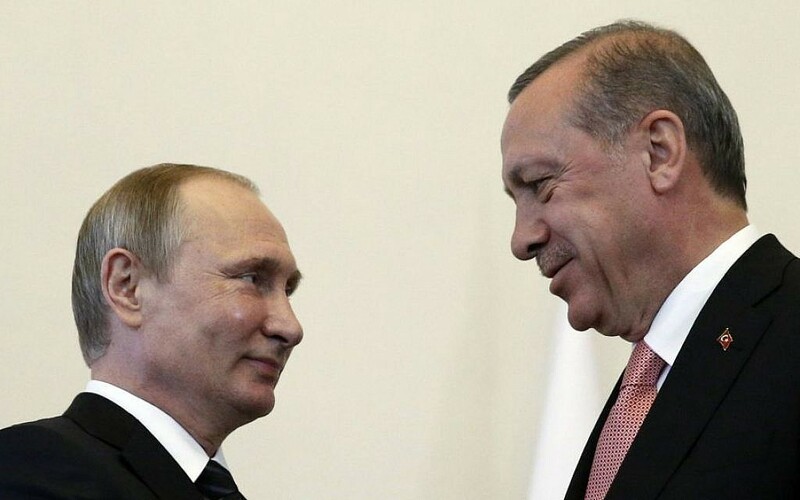 Repeatedly calling Putin his “dear friend,” Erdogan says Turkey is ready to implement a natural gas pipeline project proposed by Moscow and a deal for Russia to build Turkey’s first nuclear power plant. Putin, in turn, says the flow of Russian tourists to Turkey, halted after the downing of a Russian jet by Turkey in November, will resume soon. He also promises to gradually lift an embargo on imports of Turkish agricultural products and other restrictions. 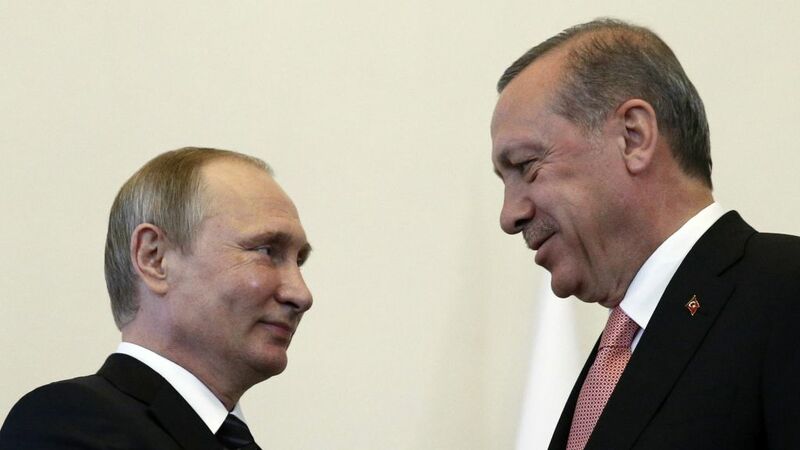 Putin adds that he and Erdogan would have a separate discussion on Syria later Tuesday involving top military and intelligence officials to search for common ground in the crisis, where Moscow and Ankara back opposing sides. While Moscow backs Syrian President Bashar Assad throughout the nation’s civil war and further bolsters that support by launching an air campaign last September, Turkey is pushing for Assad’s removal. Yair Netanyahu, the son of Prime Minister Benjamin Netanyahu, will be summoned by police to give testimony in the ongoing inquiry into purported financial irregularities linked to his father, Channel 10 reports. The television report cites “sources in law enforcement” saying that Yair’s testimony is considered relevant to the investigation. Hillary Clinton is expanding her presidential battleground map to include the traditionally Republican states of Georgia and Arizona, according to officials aware of the plans. A source with knowledge of the campaign’s plans says aides at Clinton’s New York headquarters spoke Monday with Democratic Party officials in Georgia and Arizona to discuss a six-figure investment across the two states. The move comes amid a national shift in Clinton’s favor since the July party conventions. Polls suggest Clinton has widened her national lead over Republican Donald Trump and positioned herself to compete even in some traditionally GOP-leaning states. Georgia and Arizona combine for 27 electoral votes, a tenth of the total needed to win the presidency. President Barack Obama lost Arizona by 9 percentage points and 8.5 points in his two campaigns; he lost Georgia by 5 points and 8 points. But the states have growing non-white populations that favor Democrats, and Trump continues to struggle among white college-educated Republicans — factors that give Clinton an opening Obama did not have. Israeli tennis champion Dudi Sela is taking to the court at the Rio de Janeiro Olympics to face off against David Goffin of Belgium in the men’s singles round 2. Sela beat Bosnian Damir Džumhur yesterday 2 sets to zero. Israel’s judo federation is formally complaining about the referees’ calls in the matchup between Israel’s Yarden Gerbi and Brazil’s Mariana Silva earlier today. The match went into golden time, and, according to Israeli officials, the referee of the contest ignored Silva’s passivity and an almost certain yuko, a move that grants a point — and would have won Gerbi the match — during the over-time. The head of the Israeli judo federation, Moshe Ponti, called the head of the International Judo Federation, Marius Vizer. 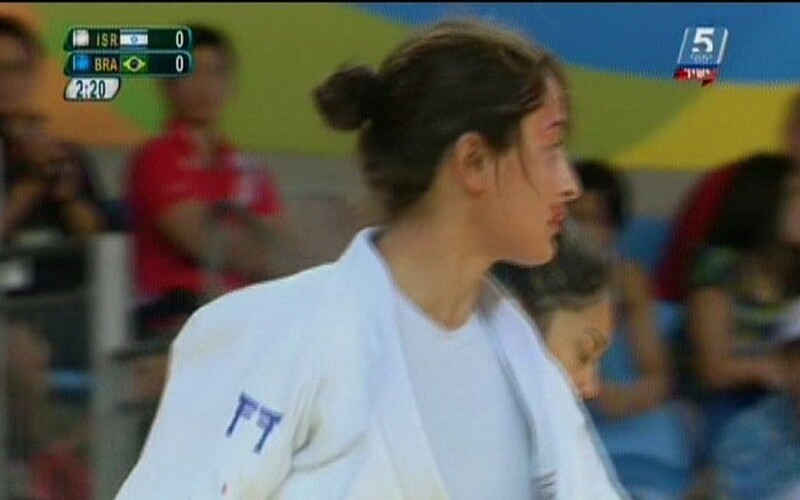 Israeli judoka Yarden Gerbi is now facing Chinese competitor Yang Junxia in the repechage part of the women’s under-63 kilogram Olympic judo competition, hoping to have a shot at a bronze after falling of the running earlier today for the gold or silver in her loss to Brazil’s Mariana Silva. Israeli judoka Yarden Gerbi defeats China’s Yang Junxia in the repechage part of the women’s under-63 kilogram Olympic judo competition. She has one last match ahead of her, with either Holland’s Anicka van Emden or Austria’s Kathrin Unterwurzacher. The winner of that match goes home with the bronze, which would be Israel’s first medal from the Rio Olympics after an otherwise disappointing showing.